I think I'm going to start something a little different for my monthly recaps. From now on, I'm going to offer you some desktop/iPod/iPhone/iPad wallpapers for the new month based on favourite pictures from last month. Personally, I'm always looking for new desktop wallpapers. I find it more interesting if I've got something new to look at in the background, and I usually change it every week. 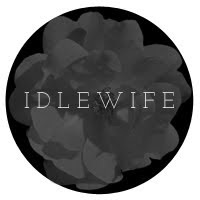 With the help of Idle Husband (oh! poor math skills! ), I finally learned how to turn my own photographs into wallpapers.